I’ve recently made a couple of changes to my current Day Zero list. A Day Zero list is a list of 101 bucket-list like things you want to get done in the next 1,001 days. The idea is that by breaking a bucket list down into smaller chunks of time, you stand a better chance of doing some of them sooner. It’s nudged me to do some cool things in the past and is an enjoyable tradition among my friends. The idea is that you pick things you want to do for the list and then spend the next 1,001 days trying to complete the challenge you’ve set yourself. You’re not meant to just move the goal posts part way through. That said, there were a couple of tasks on my list that I now feel pretty certain will be a waste of time to complete. Not a fun waste of time as some of the tasks are intended to be, just a waste of time. For example, while I liked my Daily Greatness Journal when I bought it, I’ve since established my own version of daily review in Evernote that is much more targeted to the sorts of things I want to review and improve. I’ve found this new process much more useful and so continuing the journal no longer makes sense. I’m still glad I bought it as it put me on the path to making journalling and reviewing my day a daily habit but I see no merit in continuing. My Day Zero List is usually the topic of my more personal 24joy blog, so why has this crossed over here? I’m writing this here, mostly because the process of reviewing my currently active list raised a few questions for me. The main thing I’m curious to delve into here borders on to the more self-improvement and ethics space this blog approximately covers. I am wondering: how can individuals best balance changing their minds while avoiding analysis paralysis? Last weekend I attended the RESULTS UK National Conference which–among many great sessions–included one on mental health and personal identity as an activist. I started to write some thoughts on this only to realise, looking back through the sparse and scattered posts on this blog that I’ve only mentioned RESULTS in passing. It seems remiss to have not introduced what they do, especially given that this is my third RESULTS conference and I must have been campaigning with them for at least two years now. So before I write about the things I learned at this last conference I should probably explain what RESULTS is and why I volunteer with them. Of course, if you want to skip this post entirely you can find much better information at least on the first part on their website. Have you ever had days where you felt like this? I do. All the time. This is a Facebook status of mine from a couple of years ago. The comment on it is from my uncle, saying that it still applies even if you replace “20s” with “30s”, “40s” and beyond. Surely some people out there do have the tutorial, there are some adults that know what’s going on…right?! I often feel like I’m missing a handbook I should have on getting things right in life. I still can’t imagine having children because my view of my parents as a child was always that they knew everything and could do anything. A part of me is still waiting to wake up one day and finally just figure life out. Until that happens I’m not a real adult, I cannot be responsible for things; the real adults, the one’s who have done the tutorial, got the handbook, they will have to sort things out. Unfortunately, there are no “real adults” coming to save us. Just over a year ago today I took a lifetime pledge to give 10% of my pre-tax income to whichever organisations I believe can most effectively use my money to improve the lives of others. It wasn’t an easy decision but a year on I am absolutely confident it was the right one. 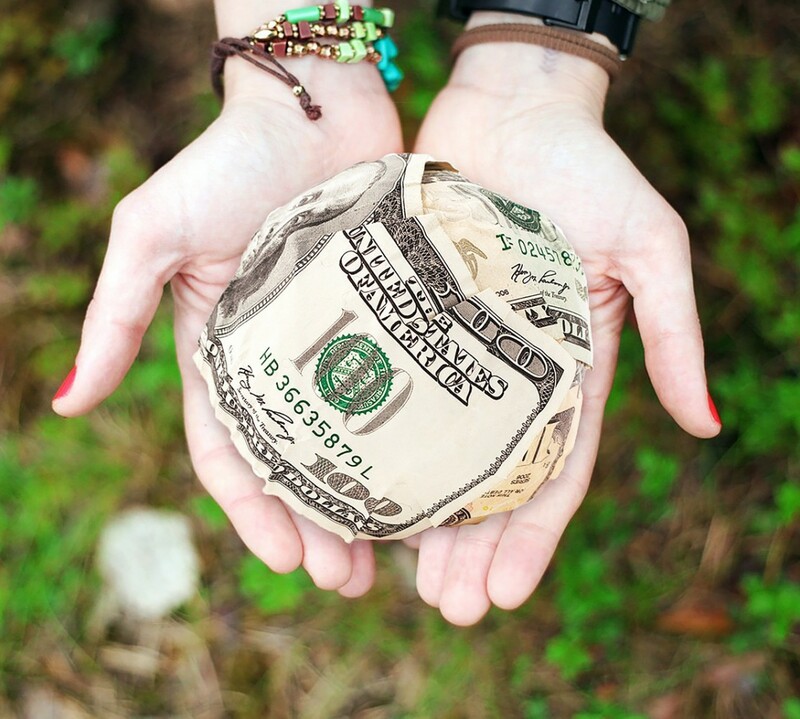 I wanted to write this post to anyone who’s thinking about whether or not to donate a significant portion of their income to effective causes. Before taking the pledge I had a lot of questions and doubts. I speak to many people with the same questions I had so I wanted to try and answer some of them honestly and openly so that people can decide for themselves. You may have noticed the blog writing has been somewhat sporadic recently. I just about managed to get something out in December about New Year’s Resolutions then fell off the world as I organised my previous company’s national sales conference in Wales, and then resurfaced in Brighton just long enough to tell you I’d be moving to Oxford. So often I am caught up in a whirlwind of busyness. With an exciting new role which I am free to shape as I see fit, and plenty of new opportunities for clubs to join, campaigns to support and people to meet it would be so easy to end up chasing my tail. Do you feel the same? Are there are just so many things you could be doing that it becomes exhausting? So how can we choose? How can we focus?